Are you looking for a last-minute Halloween costume that will also stand out? You’re in luck! These 17 movie-themed costumes are not only timely, but also time-savers to put together. 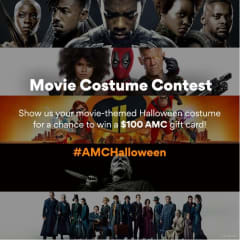 Plus, if you post a picture of your movie-themed Halloween costume on Twitter and Instagram, you could have a chance to win a $100 AMC gift card. Make sure you tag @AMCTheatres and use #AMCHalloween. 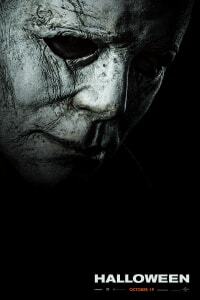 Michael Myers is a classic costume for slasher movie fans, and with the recent release of HALLOWEEN, the masked serial killer is again a fixture in pop culture. Extra bonus: The costume is fairly simple to put together. You’ll need navy coveralls, or a navy button-up and dark-washed jeans, a fake knife, and the Michael Myers mask, which you can find at any Halloween store. Another scary but simple costume for horror lovers is the demonic nun from THE NUN movie, released in September. You’ll need a nun costume, some of which come with a mask, or you’ll need black and white paint to create the terrifying makeup. Make Halloween a slam dunk as Uncle Drew. The key to this costume is the salt-and-pepper hair and beard, and you don’t even need a wig or fake facial hair. Use silver hairspray and gray and white paint applied with a makeup sponge to get the same effect. For the rest of the costume, score a basketball jersey or T-shirt, shorts, and sneakers. While Debbie Ocean from OCEAN’S 8 doesn’t look funny, she’s a comedic character you can bring to life with the right outfit and attitude. You’ll need an LBD, black jacket and black boots to complete the costume — plus a whole lot of sass. 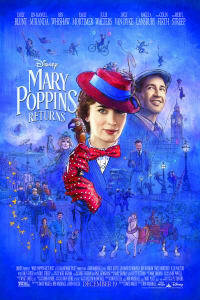 Magical nanny Mary Poppins also flies back into theatres this year (after 54 years) in Disney’s MARY POPPINS RETURNS, opening December 19. You’ll need a long coat, collared shirt, gloves, hat and an umbrella to capture Poppins’ signature, sophisticated look. STAR WARS costumes never go out of style, and with the release of SOLO: A STAR WARS STORY in May, the most beloved scoundrel in the galaxy is a timely character to emulate this Halloween. Find your Han Solo outfit at a costume store near you or DIY — you can dress as young Han or the Han we know and love from the franchise. The video game “Tomb Raider” was first released in 1996, and since then, there have been multiple editions, remakes and even films — the latest being TOMB RAIDER (March), starring Alicia Vikander as Lara Croft. For your costume, you’ll need a green tank top and green pants with a chunky brown belt and torn white fabric wrapped around your thigh, arm and wrist — bonus if you can find a fake bow and arrow set! Turn heads as the year’s most gorgeous, could-be couple, T’Challa and Nakia. (We know what the comics say, but we’re holding out hope for their relationship in the BLACK PANTHER sequel!) T’Challa and W’Kabi also make a perfect pair, as well as Nakia and Okoye. Shop for BLACK PANTHER costumes at a Halloween store near you. 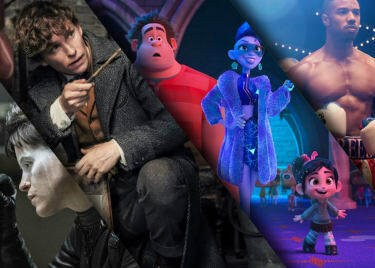 Celebrate one of the year’s biggest blockbusters with your friends. AVENGERS: INFINITY WAR united the largest cast of action heroes in one film, so there’s no shortage of characters to choose from. Because the film was so popular, you can find costumes at Halloween stores as well as Target and Walmart. 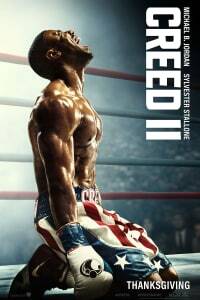 After 14 years, the Parrs came back to the big screen in June. Seize the opportunity to dress up as their superhero alter-egos this Halloween! Gather your family, jumpsuits and masks, and don’t forget to iron on the Incredibles’ black and yellow logo. Or you can find outfits for the whole family at Target. 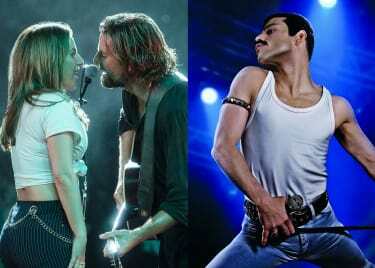 Two musical legends were given the spotlight in film this year. Whitney Houston’s documentary, WHITNEY, was an in-depth look at her life and music, told from never-before-seen footage and interviews with those who knew her best. 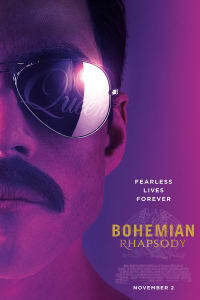 Queen’s biopic, BOHEMIAN RHAPSODY, releases November 2 and will be a foot-stomping celebration of the band and its extraordinary lead singer, Freddie Mercury. Whitney has so many memorable looks over her decades-long career, many you can recreate yourself. 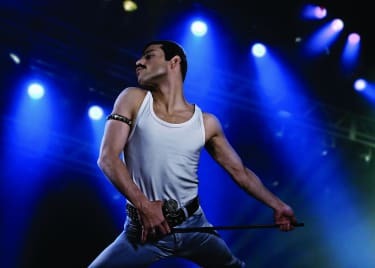 You may be able to find Freddie Mercury costumes in Halloween stores, or you can pull together a well-known outfit of tight, light-washed jeans, a white tank, aviators, and a bushy mustache. 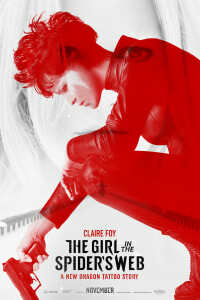 The new Dragon Tattoo story, THE GIRL IN THE SPIDER’S WEB, gives anti-hero Lisbeth Salander a new mission and look. You’ll still want to wear all black, of course, and rock a punk hairstyle (or wig). You may have seen in the trailer Lisbeth also dons white face paint when she meets her target, which you could add as an extra touch. If you’re looking for comfort and warmth, this is your Halloween costume category! Both Disney’s Peter Rabbit from PETER RABBIT and Winnie the Pooh from CHRISTOPHER ROBBIN are simple to recreate and more relevant than ever. For Peter Rabbit, you’ll need khakis, a white T-shirt, blue coat and bunny ears. For Pooh, you’ll need yellow leggings, a red shirt and yellow bear ears, which you can make yourself with an old headband and hot glue. Don’t forget to post a picture on Twitter and Instagram of your movie-themed Halloween costume for a chance to win a $100 AMC gift card. TAG @AMCTheatres and use #AMCHalloween.